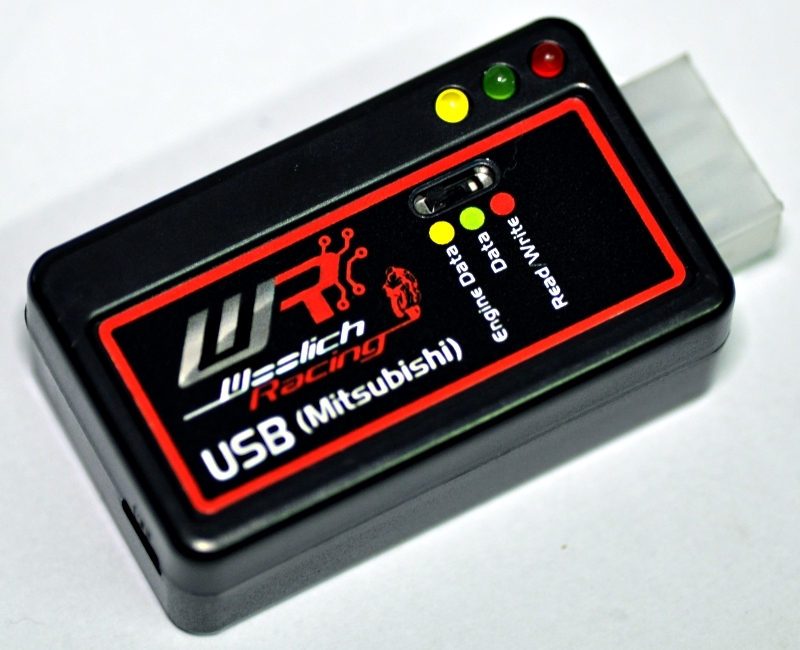 The USB (Mitsubishi) (USBM) ECU Flashing Interface allows you to connect your computer to the Mitsubishi ECU in your motorcycle using a standard USB cable and a bike specific harness. 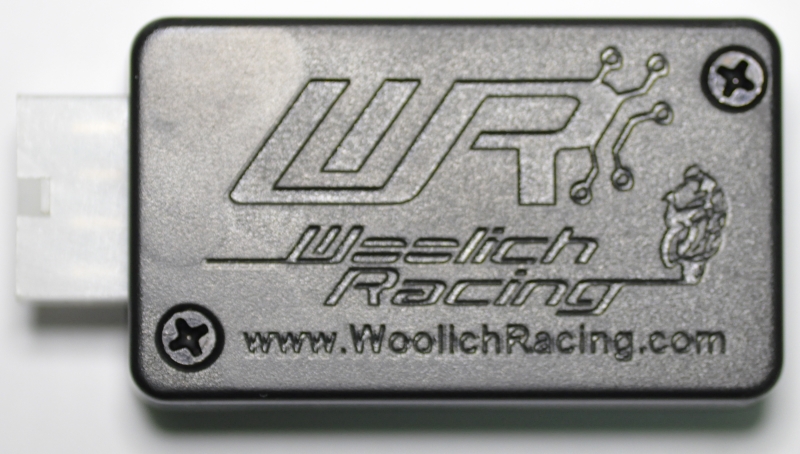 You can then use the Woolich Racing Tuned software to tune your bike and enable advanced functionality in your stock ECU. 2004-2005 Kawasaki ZX10R - USB (Mitsubishi) v3 Package This package includes everything you need to start tuning your 2004-2005 Kawasaki ZX10R with our Mitsubishi USB Interface and on bike harness allowing you to flash the ECU while it is still in the bike connected to the bike harness..
2006-2007 Kawasaki ZX10R - USB (Mitsubishi) v3 Package This package includes everything you need to start tuning your 2006-2007 Kawasaki ZX10R with our USB (Mitsubishi) and on bike harness allowing you to flash the ECU while it is still in the bike connected to the bike harness..
2006-2007 Kawasaki ZX14 / ZZR1400 - USB (Mitsubishi) v3 Package This package includes everything you need to start tuning your 2006-2007 Kawasaki ZX14 / ZZR1400 with our USB (Mitsubishi) v3 and on bike harness allowing you to flash your ECU while it is in the bike connected to the bike harness. 2008-2009 Kawasaki 1400 GTR / ZG 1400 / Concours 14 - USB (Mitsubishi) v3 Package This package includes everything you need to start tuning your 2008-2009 Kawasaki 1400 GTR / ZG 1400 / Concours 14 with our USB (Mitsubishi) v3 and Bench Harness Type 8. 2008-2010 Kawasaki ZX10R - USB (Mitsubishi) v3 Package This package includes everything you need to start tuning your 2008-2010 Kawasaki ZX10R with our USB v3. (Mitsubishi) and On Bike Harness. 2008-2011 Kawasaki ZX14 / ZZR1400 - USB (Mitsubishi) v3 Package This package includes everything you need to start tuning your 2008-2011 Kawasaki ZX14 / ZZR1400 with our USB (Mitsubishi) v3 and on bike harness allowing you to flash your ECU while it is in the bike connected to the bike harness. 2010-2014 Kawasaki 1400 GTR / ZG 1400 / Concours 14 - USB (Mitsubishi) v3 Package This package includes everything you need to start tuning your 2010-2014 Kawasaki 1400 GTR - ZG 1400 (Concours) with our USB (Mitsubishi) v3. and Bench Harness Type 8. 2004-2008 Suzuki GSX 1400 - USB (Mitsubishi) v3 Package This package includes everything you need to start tuning your 2004-2008 Suzuki GSX 1400 with our USB (Mitsubishi) v3. The User Guide for the USB (Mitsubishi) v2 can be found on our User Guides and Installation Instructions page.